Toru Nakamura was born on 1965 in Tokyo., Japan. His career began with his lead role of “Toru Nakama” on “BE-BOP-HIGHSCHOOL”(85). He was selected out of 6000 actors who auditioned for the main role. This was his breakout film which won him an academy award and so many　other awards. The film was a massive blockbuster in japan and they produced 6 other series. He was on popular television series “DANGEROUS COPS” which started broadcasting since 1986. It became the longest tv series and movie series for 30 years until they made the last movie called “DANGEROUS COPS : Final 5 Days”(16). Toru achived moderate fame as international actor in early 2000.He won the best supporting actor award at 39th Grand Bell award” which is called academy award in Korea with this role on “2009 LOST MEMORIES ”(korea/04). He was the first Japanese actor who won this award. He also starred in “PURPLE　BUTTERFLY”(China & France /05) which was on 62th Cannes film festival. Seeing him in the theater allows you to see his talent. NODA MAP “EGG”(12) was invited to Paris shiyo theater. KERA-MAP “GOOD‐BY” won the best play 23rd Yomiuri theater award. The most significant roles in his body of work to date include the plays “MUSIC OF CHANCE”(2005/2008), “KIKKAI” series (2009/2011/2016), “OTHELLO”(13). 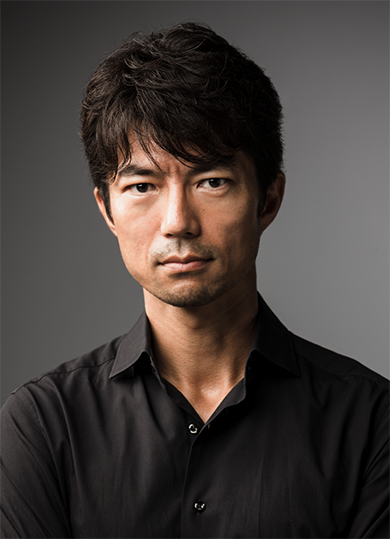 He has been active in film and television drama since making his acting debut.TV shows “TEAM-BATISTA”(08～14/KTV・CX), “IE‐URU‐ONNA” , films “SEPPUN”(07) <23 rd Takasaki film festival for best actor>, “K-20：Legend　of　the　Mask” (08), “THE SUMMIT : A Chronicle of Stones”(09), “STRANGERSE IN THE CITY”(10), “A CHORUS OF ANGELS”(12),“TEAM-BATISTA‐FINAL CERBERUS‐PORTRAIT”(14). He also has been to narrate for documentary series because of his charming voice. COPYRIGHT © KITTO Co Ltd, ALL RIGHTS RESERVED.